Sales manager, municipal official, MLA (1941-1945). Born at Cornwall, Ontario on 18 February 1896, son of Kenneth and Georgiana Clark, he was educated at Cornwall Public and High Schools, also Commercial College. On 15 June 1921, he married Flossie Gladys Warner (?-? ), daughter of Mr. and Mrs. Barney Warner, of Martintown, Ontario. They had one child: Eric Warner. He was President of the A. Lloyd Clark & Company and the Manitoba Motor League. 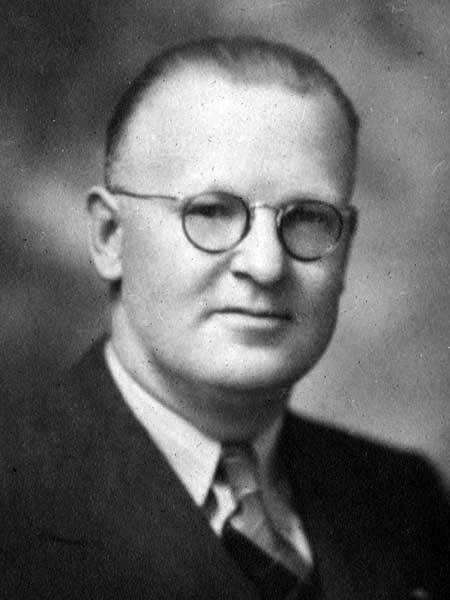 He served as a councillor in the Rural Municipality of St. Vital and Reeve of St. Vital from 1938 to 1941. He was a member of the Carleton Club, Masons, and Winnipeg Winter Club. He was elected as a Liberal-Progressive to the Manitoba Legislature at the 1941 general election. He died on 29 January 1945, while still in office. Obituary, Western Municipal News, February 1945, page 33.